We're on the road but we still want to recognize the ships that enroll in Amver and help save lives as sea. Is your ship's name here? Help us welcome the latest members of the Amver safety network! It's the last day of Shipping 2012. If you are in Stamford, Conn. for the Connecticut Maritime Association annual conference please stop by and say hello to us in booth G-104. One of the reasons we're here is to enroll more ships and share talk about Amver. We want to highlight the good works mariners are doing around the world. Here are a few more vessels committed to safety at sea. Help us welcome the latest members enrolled in the Amver safety network. 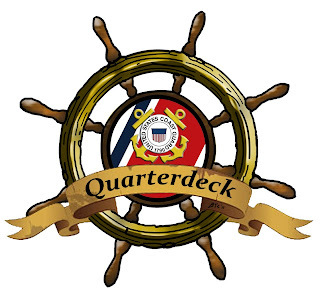 Don't forge to listen to the Amver podcast, The Quarterdeck! This new feature isn't what you think. We're finding Amver participants that come into port near us and paying them a visit to say thank you. Along with our hearty thanks, we're passing along a nice Amver coffee mug. Just a way to recognize the hard work mariners do protecting those at sea. Our first Mug Shot comes from the port of New London, Conn. where we met Captain Fred Peterson and the crew of the bulker IVS Beachwood. The IVS Beachwood is a relatively new ship, having been built and enrolled in Amver in 2011. The crew were very accommodating and friendly. They had a spotless ship and took great pride in showing it off. Here is Captain Fred Peterson receiving his Amver mug! Captain Peterson has been at sea since he was a cadet in 1971. Thank you for your commitment to safety at sea! Perhaps your ship will be next! We look forward to coming aboard and thanking you for ensuring no call for help goes unanswered. I also want to thank the fine men and women from U.S. Coast Guard Sector Long Island Sound who let me accompany them on their Port State Control inspection of the ship. They were a truly professional cadre and treated the Captain and crew with respect. Want to learn what you can expect when the Coast Guard boards your vessel? Listen to this episode of the Amver podcast. Next week the shipping community will focus on what's happening in Stamford, Conn. The Connecticut Maritime Association kicks off their Shipping 2012 exhibition and conference. Amver will be exhibiting in booth G-104 and we look forward to seeing you, helping you enroll your vessels, or giving you information about the Amver program. In addition to an array of shipping related exhibitions, Shipping 2012 offers a packed agenda covering everything from state of the industry to strategies to manage the challenges of bunkers. The entire Amver team looks forward to welcoming you! 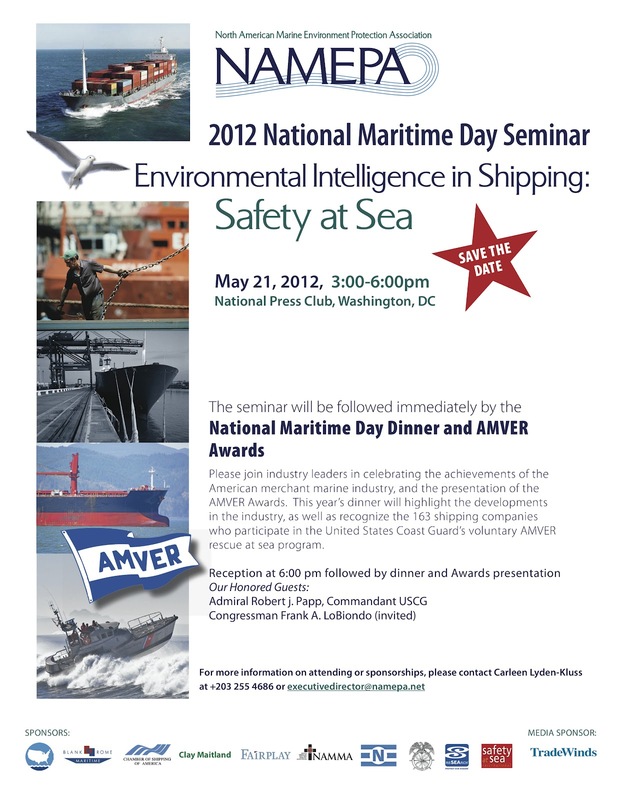 National Maritime Day is right around the corner which means its time to mark your calendar for the upcoming Amver Awards dinner recognizing U.S. ships participating in the Amver safety network. 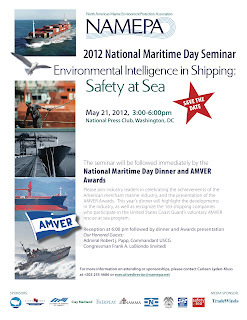 This year's U.S. Amver awards ceremony will take place at the National Press Club in Washington, DC on May 21, 2012 at 6:00 pm. This year's dinner will follow tradition and be part of the greater National Maritime Day seminar hosted by the North American Marine Environmental Protection Association. The event will recognize over 1,000 ships from 163 companies that have made a commitment to safety at sea. For information about the seminar or dinner please contact Carleen Lyden-Kluss. The Love Boat is being scrapped, Amver ships are rescuing people around the world, two ships collided in the Caribbean, and the Baltic Dry Index is hitting historic lows. There's uncertainty in shipping every day. What can you count on in shipping? You can count on Amver ships enrolling to assist when disaster strikes at sea. What ships make up this incredible armada of safety? Ships like the ones listed below. These vessels, and their crews, have made a decision to stand for safety. Help us welcome them to the Amver safety network! Love, exciting and new. Come aboard, we're expecting you! Those famous words were the intro to one of the maritime and cruise sector's most successful program- The Love Boat. 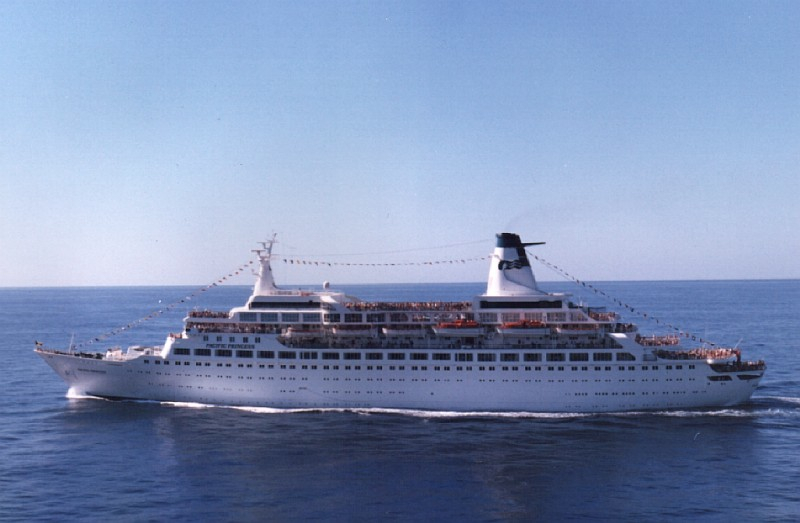 The vessel that was The Love Boat, the Pacific Princess, has been sold to a Turkish demolition company for just over $3 million, according to a report in USA Today. What does this have to do with Amver? 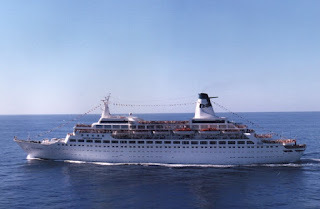 Well, the Pacific Princess enrolled in the Amver system on January 1, 1971 and participated for almost 10 years. The Pacific Princess sent over 550 Amver reports during its time at sea. Can't see the video? Click here. You can learn more about Amver here. Cruise ships that participate in Amver routinely save people. Here's wishing the fictional crew fair winds and following seas! We're going to miss you Captain Stubing! The Amver participating cruise ship, Norwegian Star, rescued two sailors from their disabled sailboat 55 miles northwest of Pinar Del Rio, Cuba on Saturday, March 3, 2012. U.S. Coast Guard rescue authorities in Miami received an Emergency Position Indicating Radio Beacon (EPIRB) alert for the 38 foot sailboat- Hokulani. The Coast Guard, using an Amver surface picture, determined the Norwegian Star was only 30 miles away from the distress location and diverted them to assist. They also launched a an Ocean Sentry aircraft to assist. The 965 foot cruise ship arrived on scene and launched a small boat to recover the two sailors. Waves were 2 to 4 feet with winds gusting approximately 20 knots as the rescue boat came alongside the sailboat. Within four hours of the initial distress notification the sailors were safely aboard the Bahamian flagged cruise ship and headed to its next port, Tampa, Fla. The sailboat was marked as a hazard to navigation and left adrift. The sailors were uninjured. The Norwegian Star enrolled in the Amver system on July 28, 2004 and has earned seven awards for participation. The was not the first time the Norwegian Star has saved someone. The cruise ship also rescued a sailor from a damaged sail boat in 2009 near Cabo San Lucas, Mexico. I can sail without wind, I can row without oars, but I cannot say farewell to a friend without shedding a tear. 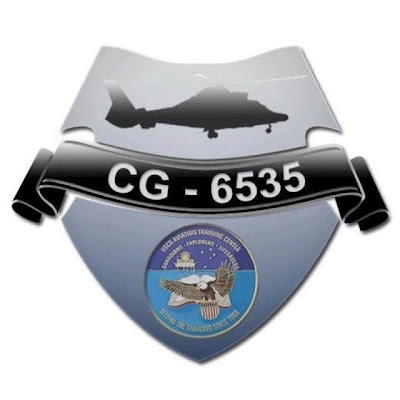 The U.S. Coast Guard, and the Amver network, lost four members in a recent helicopter crash. What ships enrolled in Amver in the last week? Another 27 reinforced their commitment to safety at sea by agreeing to save lives when called upon. It's a good thing too, as ships continue sinking around the world. Why should you consider participating in Amver? Here are several good reasons. Now, help us welcome the latest members of the Amver safety network. 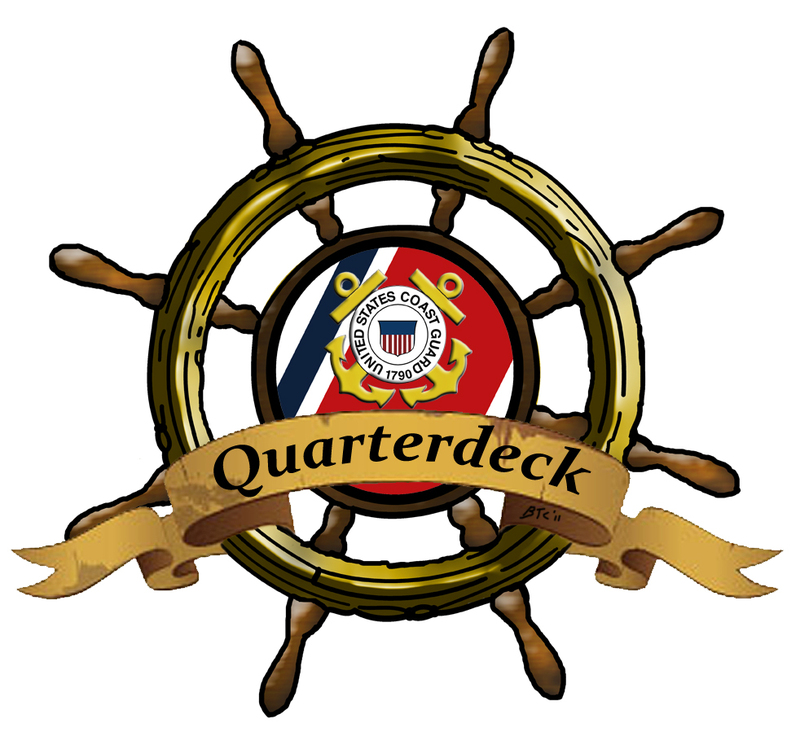 Welcome to the 12th episode of The Quarterdeck! This marks the one year anniversary of the Amver podcast and we couldn't be more excited. In this episode we bring you an in-depth interview with the commander and staff of the U.S. Coast Guard International Ice Patrol and learn more about the products they provide.